A court martial is a court convened to try an offence against military discipline, or against the ordinary law, committed by a person in one of the armed services. Courts martial were also used to try civilians when martial law was in force. 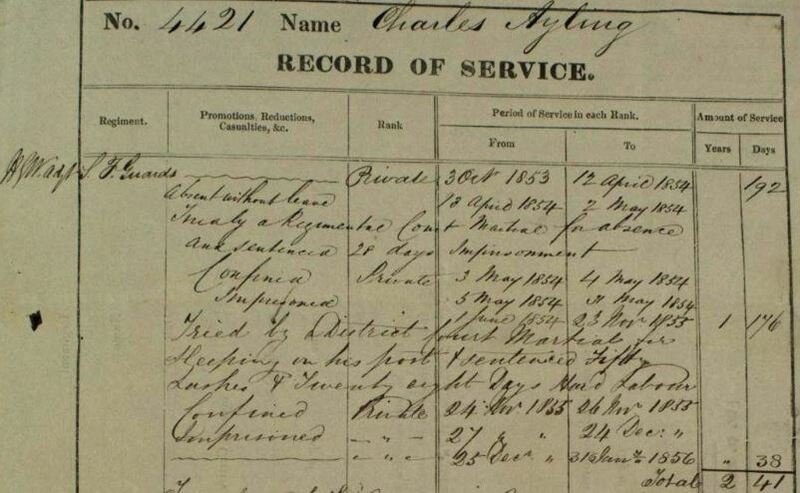 Almost without exception the convicts on my database who were Crimean War veterans were sentenced to transportation as a result of a court martial. Charles Ayling is an exception! 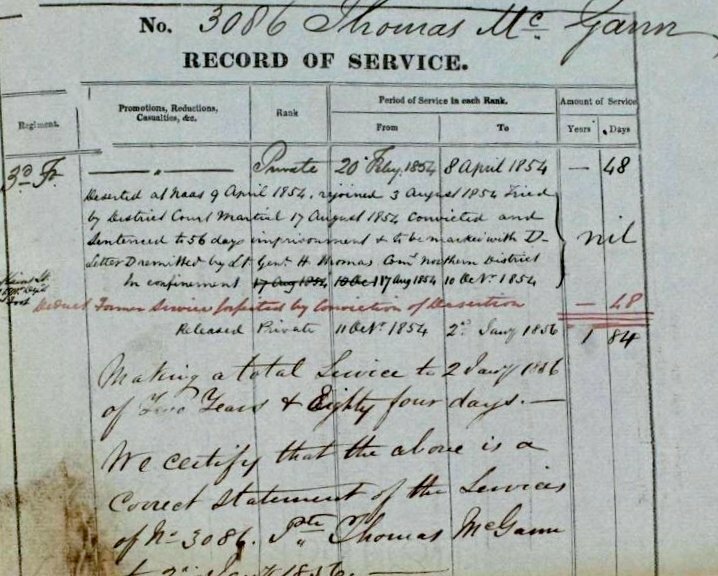 However, many other veterans of the Crimean War who came to WA also faced courts martial, were imprisoned, forfeited service pay and good conduct badges but were released and resumed their military career. Frequently the detail of the conviction is not detailed in the WO97 (discharge documents) in which case one may need to check the Judge Advocate General’s registers or regimental records. The various courts martial are described below. This was army’s highest tribunal, dealing with commissioned officers and the most serious cases involving other ranks. It could only be convened by the Crown or its deputy (for example, the commander in chief, or governor general). At least thirteen commissioned officers had to be present if ‘at home’ (serving in the British Isles, Ireland, non-British territories or small British possessions), or five if ‘overseas’ (the British colonies), together with a judge advocate. Decisions were confirmed by the person who issued the warrant (that is, the Crown or its direct deputy). This type of court martial was often used in wartime. Only three commissioned officers needed to be present. The decision had to be unanimous for the death penalty to be imposed. More limited in jurisdiction, this court could not try commissioned officers or charges carrying the death penalty, transportation, floggings of more than 150 lashes or prison sentences of more than two years. It required seven officers at home or five if overseas. Details of the sentence were sent up to the Judge Advocate General’s office. 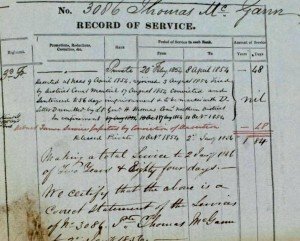 Prior to 1829 the District (or Garrison) Court Martial was known as the General Regimental Court Martial. The regimental court martial was used for ranks other than commissioned officers who were charged with lesser offences. They may be noted in war diaries, but no records were sent to the Judge Advocate General’s Office. Some of the records of these courts may survive among the records preserved by individual regiments. 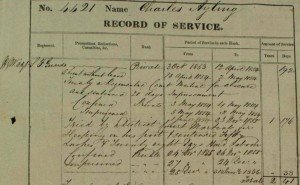 The Judge Advocate General’s office compiled registers of general and field courts martial, giving name, rank, regiment, place of trial, charge, finding, and sentence. These are in WO 90 (abroad, 1796-1960 – with a volume for India), and WO 92 (home, 1666-1704, 1806-1960 – with registers for part of the Boer War). An index for 1806-1833 is in WO 93/1A. The National Archives, Guide Reference: Military Records.